Bernie Sanders recently announced that he was running for the Presidency again, and this has gotten everyone talking. As an on-again, off-again former political libertarian turned Moral Libertarian, my views on Bernie have evolved over time. I mean, he has long called himself a Democratic Socialist, and I don’t like this. On the other hand, to rule out considering someone’s ideas because of a label is a clear case of identity politics, and as classical liberals we should avoid all identity politics like the plague. So, for fairness sake, we do need to consider Bernie’s ideas on their own merit. And, as it turns out, Bernie actually has lots of interesting ideas that merit our consideration. Agree or disagree with him, he is a true heavyweight public intellectual, and I want to spend some time engaging with his ideas going forward. 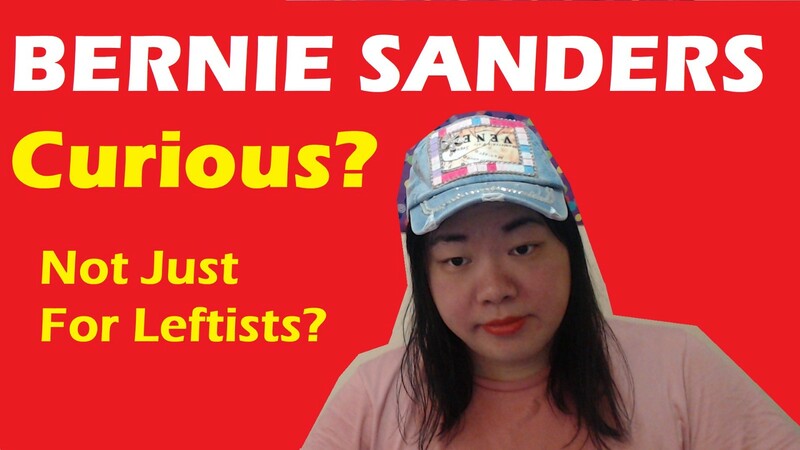 Besides, a libertarian friend recently showed me a piece titled ‘The Libertarian Case For Bernie Sanders’, which was actually published back in 2016. My first reaction was, wait, is there a libertarian case for Bernie? I thought only those on the hard left liked Bernie. But then again, this attitude smacks of identity politics, right? So I went on, and read the piece. It argued that Bernie’s welfare programs may actually allow for a freer economy in terms of business regulations in the long run, seeing how Scandinavian States combine a strong welfare state with an economy that is in many ways freer than that of America. It turns out that when there is a strong social safety net to guarantee people’s livelihoods, there is more political room to argue for a more lassize-faire approach to other economic matters. And it makes sense to me: for example, the onerous regulations of ObamaCare are justified on the basis that many Americans wouldn’t have health insurance otherwise. Where there is some form of Medicare For All, these regulations wouldn’t be needed. By the way, I still don’t necessarily agree with Bernie’s version of single-payer. But think about this: many Western countries spend less per capita on health than America, and have better outcomes. As classical liberal thinkers a big part of our tradition is to favor evidence, and there is evidence that America’s current system is not the best. Medicare For All = More Free Speech? All this talk about an economic safety net being good for other freedoms brings me onto my next point. As I outlined in the last episode, people were leaving libertarianism because it was ineffective in securing individual liberties like free speech. When it is Corporate America that is promoting identity politics and shutting down free speech, a focus on cutting government won’t save us. Instead, people are beginning to realise that we need to shift the social and cultural power away from the elites, and back to everyday working people. That’s why policies like Medicare For All are becoming more popular. As I said last week, with parts of Corporate America firing people for speaking up on politically incorrect topics, at least people wouldn’t have to also fear losing their health insurance if there was Medicare For All. In times when the elites have an agenda to destroy freedom, the best way to defend freedom would be to empower everyday working people. Not having to fear losing one’s health insurance could be an important part of this. Free College = Cancel Postmodernism? Besides Medicare For All, another key idea championed by Bernie Sanders is to make college free, so that more people can afford to attend college. I think we should have a serious conversation about this. Indeed, free college may be quite costly, and it is the reason I used to be opposed to this idea. However, as with everything else, the costs and benefits need to be weighed up. After all, neocons have always supported foreign intervention, which is much more costly than free college, because they believe it’s worth it. I happen to believe that free college is much more worthy of our money than the needless, endless wars. Why? Because when only rich people can attend college, the elites will continue dominating the intellectual convesation, and as I explained in the last episode, it is the elites who are propagating identity politics and the rest of those postmodernist ideas. On the other hand, people who grew up in everyday working families are much more attached to reality and its absolute truths. Students from everyday working families inherently know that postmodernism is wrong. By letting more of these people attend college, we empower them with the tools to enter the intellectual conversation, and we take our culture back from the postmodern elites through the power of rational debate. As we have seen with Jordan Peterson, the combination of common sense with intellectually strong arguments can go a long way. Another reason I have become interested in Bernie’s ideas is the simple fact that he actually supports a lot of classical liberal objectives. For example, he is strong on criminal justice reform, and he is committed to ending the War On Drugs. These things are important because they both enhance individual freedoms and effectively cut government spending. We don’t get a lot of opportunity to support somebody who is strong in these areas. But an even more important way he aligns with classical liberals is his consistently anti-war stance. He is one of only two major candidates in living memory to have supported an end to the war machine, the other one of course being Ron Paul. Remember, it is actually for this reason that Tulsi Gabbard supported him in 2016. If America would stop fighting in needless foreign wars, it would save a lot of money. For all the talk about cutting the size of government, nothing actually costs more than those endless wars. And frankly, ever since Bush invaded Iraq in 2003 on flimsy grounds, more and more people are waking up to the fact that these wars are not needed, and are not in the interests of everyday Americans. I have to applaud Bernie for standing strong on this issue, as I have applauded Ron Paul for the same reason in the past. As you can see, Bernie has brought an opportunity to discuss many important issues, and at least half of what he says actually aligns with traditional classical liberal priorities. I think we should be giving him more attention. I surely will do so, going forward. Originally published at taraellastylia.blogspot.com on March 1, 2019.